The #OwnVoices movement has spread like wildfire over the last few years, a movement based on books involving diversity, written by authors from those diverse communities. #Ownvoices books are a great way to expand your knowledge of the world and deal with some topics you may not find much elsewhere, and while you’re at it, help support underrepresented authors. Here is a list of some great #OwnVoices novels that you may have missed – or haven’t heard about. An #OwnVoices West-African-inspired fantasy debut that exploded across the YA book scene, Children of Blood and Bone tells the story of Zélie Adebola, a girl whose mother and people suffered after a merciless king banished magic from the land. The crown-prince is now determined to fully eradicate any shred of magic left, but Zélie will do anything to stop him. In a 20th century alternate fantasy world, people from the city use jade to enhance their abilities, something that has helped defend them in many wars of the past. When a new drug arises that allows any person from across the world to wield the properties of magical jade, open battle erupts within Kekon as tensions rise higher than ever. A powerful debut, Dear Martin deals with the serious issues of police brutality and racism in America. After innocently going for a drive, jamming to music and enjoying his day with a friend, everything changes as bullets fly and Justyce McAllister, ivy league student, becomes the victim of unwarranted police violence, yet is decided as a villain by the media. A book that takes Islamophobia head on, this debut follows American-born Maya Aziz as the country she has lived in her entire life turns against her based on her Indian heritage and Islamic religion. Maya struggles with living the life of the typical American teen, but also keeping herself deeply connected to her Muslim beliefs. 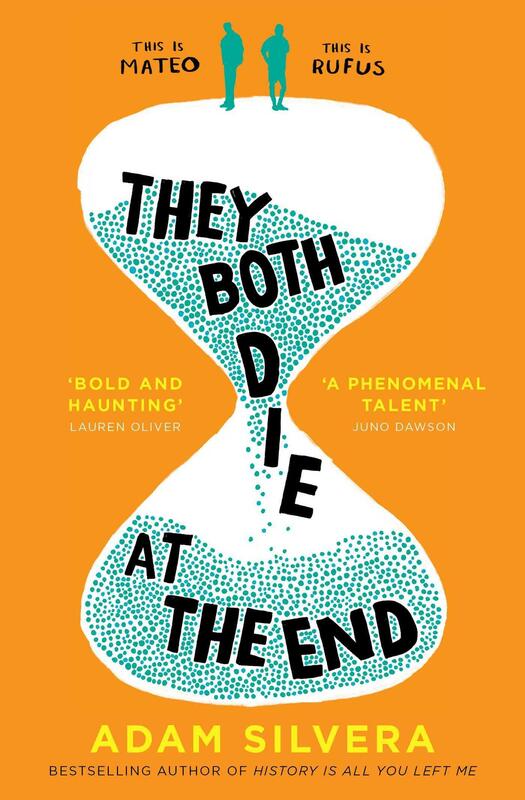 In a world where you receive a text 24 hours before your death, two boys — Mateo Torrez and Rufus Emerterio — receive news of their soon-to-be deaths and use an app called ‘Last Friend’ to meet with each other on their last day. Meeting up, they have lots to gain and little to lose, and both are determined to live a full life in the little time they have left. You Know Me Well follows the unlikely friendship of two students who have sat next to each other at school for an entire year, but have barely spoken. Mark and Katie meet at a bar during Pride Week in San Fransico. Both are dealing with issues in their love lives, and they turn to each other for support and build a strong friendship that both heavily rely on. A book heavily inspired by her own unique experience, The Sound of A Wild Snail Eating replays Bailey’s surprisingly enthralling connection with a common garden snail over a year while bedridden with mitochondrial disease and chronic fatigue. A beloved fantasy duology set in the rich Grishaverse of Leigh Bardugo, Six of Crows is an #OwnVoices novel that has the main character deal with chronic pain throughout his adventures with his gang of criminals and anti-heroes as they attempt a heist to prevent a possible war brimming around them. Zach Edge is a member of our 2018-2019 Readings Teen Advisory Board. Find out more here.